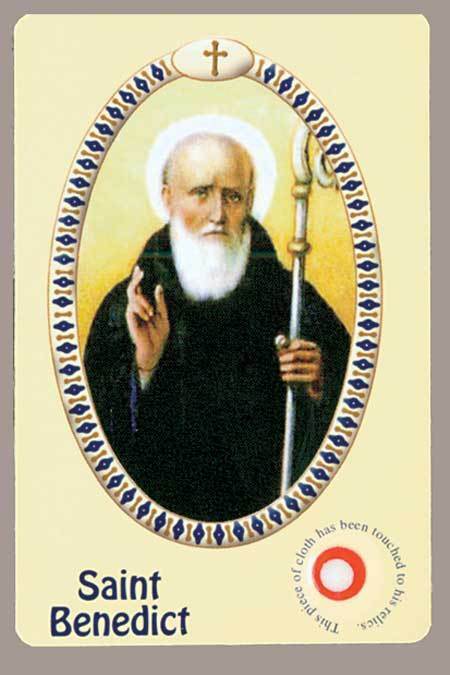 In addition to the special favor for which we plead in this novena..
Glorious Saint Benedict, sublime model of virtue, pure vessel of God's grace! Behold me humbly kneeling at thy feet. I implore thee in thy loving kindness to pray for me before the throne of God. To thee I have recourse in the dangers that daily surround me. Inspire me to imitate thee in all things. May thy blessing be with me always, so that I may see and serve Christ in others and work for His kingdom. Thy heart was always full of love, compassion and mercy toward those who were afflicted or troubled in any way. Thou never dismissed without consolation and assistance anyone who had recourse to thee. I therefore invoke thy powerful intercession, confident in the hope that thou will hear my prayers and obtain for me the special grace and favor I earnestly implore. and serve as Saint of our salvation. enkindle in our cold hearts a spark of thy charity. as will always keep us united to Him. Amen. we beg thee to bless this Novena that we begin in thy honor.